The Taran Guzouki is big little brother to the Archtop Bouzouki. Built in its own unique shape, this 16th fretter is designed for power with clear bass to full trebles but with a solid mid-range without being 'jangly' - ideal for accompaniment. It is also designed to have great separation across the range, making tunes and instrumentals work beautifully. Back and sides in either pre-CITES 2017 Indian Rosewood or Mahogany. Soundboards either Adirondack or Italian Spruce. Reclaimed Mahogany selected for its stiffness is used for the neck. As with all necks - Carbon Fibre and a two-way truss rod for stability. Ebano Rocklite finger board bound with 21 frets. A choice of either Waverly or Schaller Grand tuners. 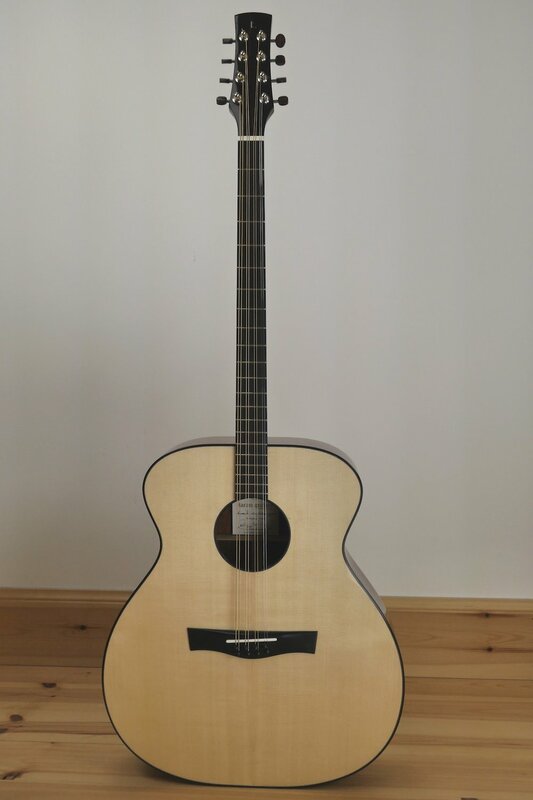 Would you like a Guzouki built to your exact specifications for the music you play? Ebano Rocklite binding and tail graft. Simple and sharp!